Cabinet this week granted approval for Sri Lanka to enter into a MoU with members of the Bay of Bengal Initiative for Multi Sectoral Technical and Economic Cooperation (BIMSTEC) to build a common power grid interconnection to facilitate energy trade among the member countries. 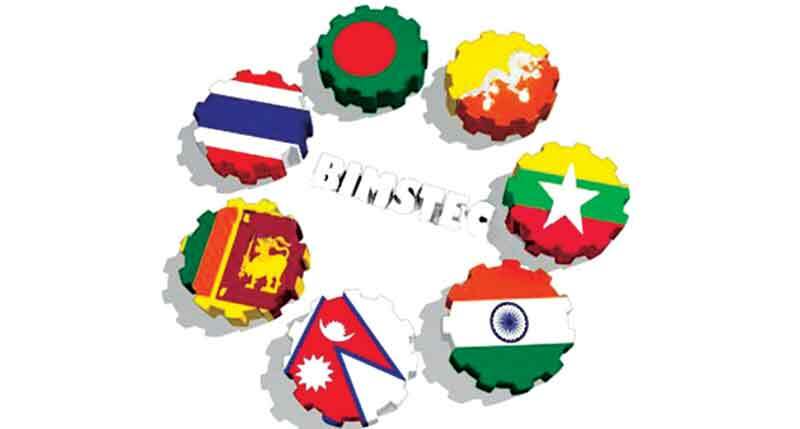 BIMSTEC formed in 1997 in Bangkok to boost economic and technical cooperation among member states consists of; Bangladesh, Bhutan, India, Myanmar, Nepal, Sri Lanka and Thailand. At the October 2015 Ministerial meeting of BIMSTEC, member countries approved of an action plan for energy cooperation among member states. A MoU was thereafter drafted for member states towards the “implementation of grid interconnections for the trade in electricity with a view to promoting national and optimal power transmission in the BIMSTEC region”. The Ministry of Power and Renewable Energy is the implementing authority of the agreement in Sri Lanka and this week, they submitted the MoU for Cabinet approval after having received the green light from the Ministry of Industry and Commerce, Public Utilities Commission of Sri Lanka, the Ceylon Electricity Board and the Sri Lanka Sustainable Energy Authority. Encourage for generating additional energy, Encourage cross border energy trade and Establish the BIMSTEC Energy Centre”. In addition, a Grid Interconnection Coordination Committee (BGICC) will be established to actively coordinate and represent parties involved in the trading programme. The MoU also asks that member states, “develop a transmission tariff framework for trading of electricity among the parties and open up new avenues of cooperation to promote electricity trade” but the Ministry of Power and Energy is yet to work out such a formula and has informed Cabinet that they are awaiting “Concurrence from the Ministry of Finance before finalising the proposed transmission tariff framework for the trade in electricity”. The MoU is be revisited again in five years for any revisions. Bangladesh signed the MoU in November last year and is hoping to exchange electricity with Myanmar and has held negotiations with India, along with Bhutan for hydroelectricity exchange. Nepal, who is the current chair of BIMSTEC signed on earlier this year and they are to host the 4th BIMSTEC summit by the end of this year.